It just makes sense that that if you want to write, you need to read…a lot. And not only read, but read like a writer. 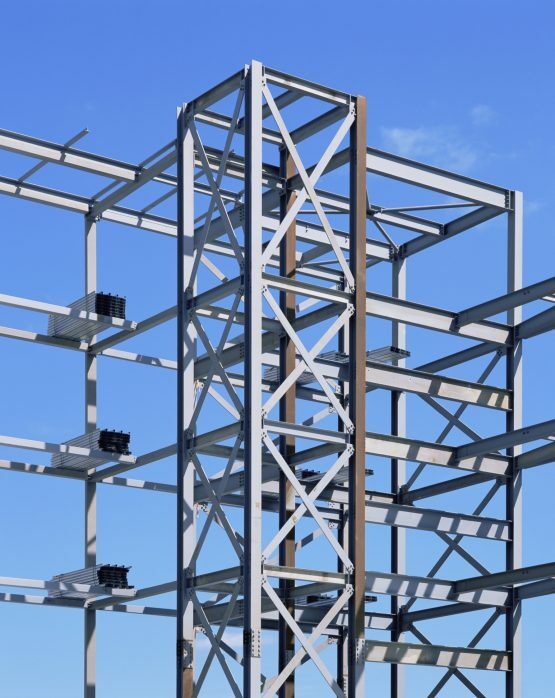 To mix our metaphors a little, how else will you know how to create your memoir like an architect, figuring out the structure of your book, unless you know what a favourite writer is doing and how they are doing it? When you read like a writer, you read once for pleasure, and a second time (often with a pen in hand) to sort out how a writer has created an effect that you really like, or one that you don’t. Every sentence in a book is the result of a decision by the writer. By paying attention to the choices the writer has made, you can more easily understand how to make the same choices or how to avoid them. 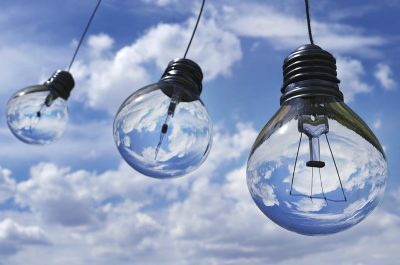 How does the author move from one idea to another? If there’s a place in the writing where I am bored or confused, how did that happen? Does the language work? Is it authentic? How does the author get me to feel certain emotions? What details has the author included? Which ones were left out that I would have liked included? When you read like a writer, one of the most important things you’re noticing is the frame of the book. 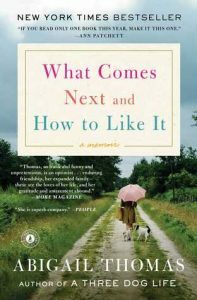 How is the author taking you from her life as a sixty-year-old single woman to her relationship with her third grade teacher, to her two unsuccessful marriages? And how is she doing it within the frame of a single month of her life when she was recovering from a stroke? There are probably as many frames for writing as there are memoirists. Some of the frames are dependent on a memoir’s theme. The only frame to avoid is chronology. While I’m sure someone has or will make chronology work beautifully in a memoir, it’s generally tedious for your reader to have to traipse along after you, decade by decade. I didn’t realize just how much I enjoy this genre until I counted the forty-two memoirs on my bookshelf. I’ve chosen a representative sampling of thirteen, and snuck in a few extra. 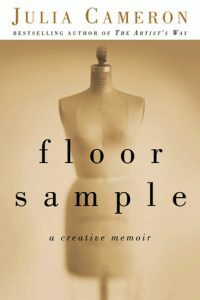 If there’s nothing of interest here, there are many online lists such as this one of the best memoirs ever written or this one of 32 memoirs you just have to read. 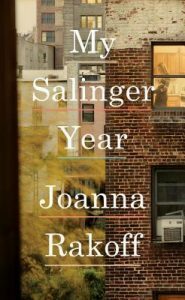 Joanna Rakoff leaves graduate school and moves to New York City to pursue her dream of becoming a poet. She takes a job as assistant to the literary agent for J.D. Salinger. Her task is to send a form response to letters from Salinger’s readers but instead starts writing back as Salinger. In the process she finds her own voice by acting as Salinger’s. Twenty-four-year-old Susannah Cahalan had it all, a great boyfriend and a new career as journalist for The New York Post. Then she woke up strapped to a hospital bed, by turns violent and catatonic. 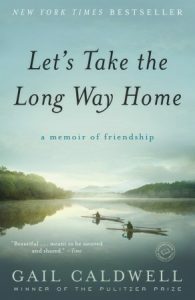 When her daughter leaves for college, Lynn Darling, widowed more than a decade, moves to a little house in the middle of the Vermont woods. Darling finds it easy to get lost so she challenges herself to learn her way around the woods and to develop a new sense of direction in her life. Phil Doran was the writer and producer of several popular TV shows. 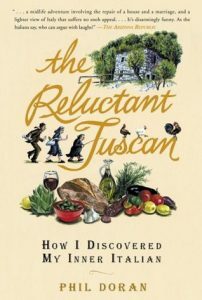 When he burned out and didn’t know it, his wife dragged him to Italy where she had purchased a three-hundred-year-old farmhouse for them to restore.Note: There’s no shortage of memoirs about life in Italy or France. I’m still looking for the memoir about life in a thatched roof cottage by the sea in Wales. I may just have to live it and write it! While the examples I give are of difficult childhoods, a memoir about an ordinary childhood would work. The critical feature of a coming of age memoir is that it be exceptionally well written. These two books plus Angela’s Ashes by Frank McCourt and I Know Why the Caged Bird Sings by Maya Angelou, are the standard against which all others are judged. The children in the Walls family took care of themselves and of each other. Their father was great when sober, destructive when drunk. Their mother was a free spirit who didn’t want to raise a family. Described as a spiritual detective story, Devotion is about the author’s search for meaning after her father’s early death and the life-threatening illness of her infant son. 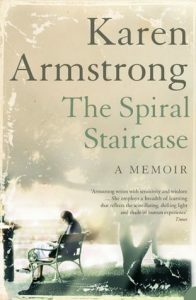 Karen Armstrong entered a convent at seventeen, leaving seven years later to pursue English literature at Oxford. But convent life had altered her and she had difficulty coping with the outside world. That is until she stumbled into a study of comparative theology. Two writers, Gail Caldwell and Caroline Knapp (author of the memoir, Drinking: A Love Story) walk their dogs in the woods of New England and talk about everything. Then Knapp is diagnosed with cancer. 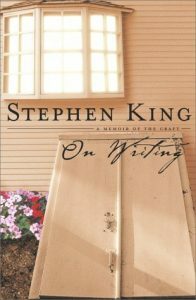 Speaking of Stephen King, he wrote this memoir when a freak accident jeopardized both his life and his art. I’m not a fan of the horror genre so hadn’t read much King. This book left me relieved that the accident didn’t destroy this massive talent. Julia Cameron is the author of The Artist’s Way and dozens of other books about creativity. She has lived a colourful life, including writing for Rolling Stone magazine and being married to Martin Scorsese. Just in case you’re thinking that you can’t write a memoir if you haven’t had a brain illness, accident, terrible childhood, farmhouse in Tuscany, or affair with your best friend’s son, here is a memoir by someone like us. Katrina Kenison’s youngest son leaves home to finish high school in another state. 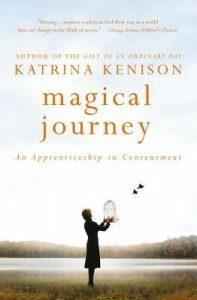 Kenison’s identity was wrapped up in being a mom; she feels lost and uncertain of her purpose in life. What memoirs would you recommend? 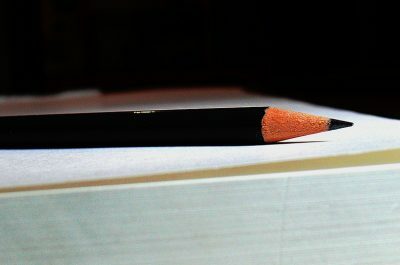 If you are writing a memoir, what format do you think it might take? What a wonderful list… I’m holding on to this one! I’ve read a few that you’ve mentioned, but I realize that there are so many more waiting to be read. I think I’ll add several to my library hold list and the genre “memoirs” to my BookBub interest list and see what’s out there. Great, Janis! There are so many fabulous memoirs out there. As soon as I’d put together this list, I came across a couple of dozen others that I thought I should have included. So much to read, so little time…. I think the list is great. 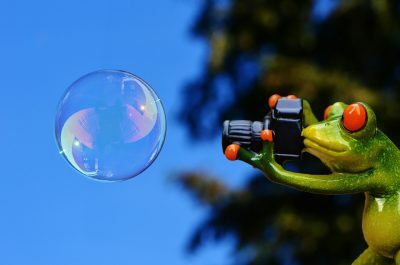 Even if you don’t want to write a memoir, there looks to be many snippets from the books that make you want to read them. Great information. Thanks , Gerri. They are on the bookshelf when you want them, and lots more besides! Hi, Karen – I agree with the others. This is a great list of memoirs. The memoir that I have read most recently is ‘Love, Life, and Elephants: An African Love Story’ by Dame Daphne Sheldrick. I also highly recommend this read! Oh yes! I’d forgotten that you wrote a review of Love, Life and Elephants on your site. I will have to get it from the library. Thanks Karen. I haven’t done much reading of memoirs and it definitely is something I need to do! Your titles are a great resource to begin my reading. Thanks for a great series on memoirs! Thanks, Fran. There are dozens more memoirs I can suggest when you start to read, depending on the theme you’re interested in. Thanks for the list of memoirs, I will have to jot some of them down and have a look at my local library. 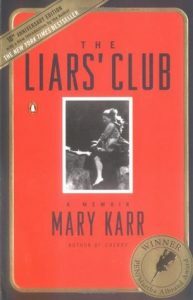 I have already tried to read The Liars’ Club by Mary Karr, even got it through an interlibrary loan, and just couldn’t get into it. Ah well, not everybody likes everything so I will move on and try out more memoirs. What an interesting idea to read like a writer! I usually just read for enjoyment but to have a critical look at how the author has written the book and figuring out how they did it in order to learn what works and what doesn’t is brilliant. I know if you want to write you must read, a lot, and I have that down in spades. Anyone who knows me can tell you that I always have a book either in hand or close by. LOL 😉 I must read every night before sleep because that is my routine and a way to calm my mind in order to wind down for the night. Thank you, Karen, for doing this memoir series and for the links to all the posts in that box up there. It is extremely handy to have that reference so I can easily access whatever post I need to read again. I believe my memoir will take the form of a journal. I have kept journals for most of my life and I find that style of writing a natural fit for how things flow from my mind down my arm and onto paper. A journal is a great form for a memoir. I really encourage you to take a look at the journals from the list. And there are many others. Happy to provide suggestions when you want them. I’d love to do a journal series on Profound Journey, but will give it a few months before starting that! I have read four of the memoirs on this list, but not the rest. So thank-you for the great suggestions. I presently am reading “Why We Write About Ourselves,” which I purchased as a result of reading this blog series of yours on memoir. Thanks for the comment, Jude. There are many suggestions for memoirs in Why We Write About Ourselves. So far I’ve read two: Half a Life by Darin Strauss, which I thought was very well written, and The Madwoman in the Volvo by Sandra Tsing-Loh, which didn’t really work for me. If you read any great memoirs, I’d love to hear about them. Since I started working on my own book, I cannot read another non-fiction, or even fiction book, without noting things I dislike or learning something. From the first read, this happens, with the result that I do not read for pleasure anymore, but just to learn and improve… Sad in a way. Reading a book twice might help the enjoyment level and not seeing reading as “work”. The list of interesting memoirs must be endless! Just reading the blurb of every one you mention makes me want to read them all. And, that’s something else I realized… All these memoirs are summarized into a great blurb. It is something I struggle with in regards to mine. I have no idea (yet) how to sum it up or how to attract the reader. Knowing the essence of what I want to share might help me create a synopsis and therefore keep me on track with the whole book and concept. What a great idea to write a synopsis of your memoir. I imagine that will be really helpful in clarifying what goes into this memoir and what stays out… and waits for book #2!